That’s right, I’m moving out of the ‘specialty’ chocolates world for a moment to write about some other chocolate. 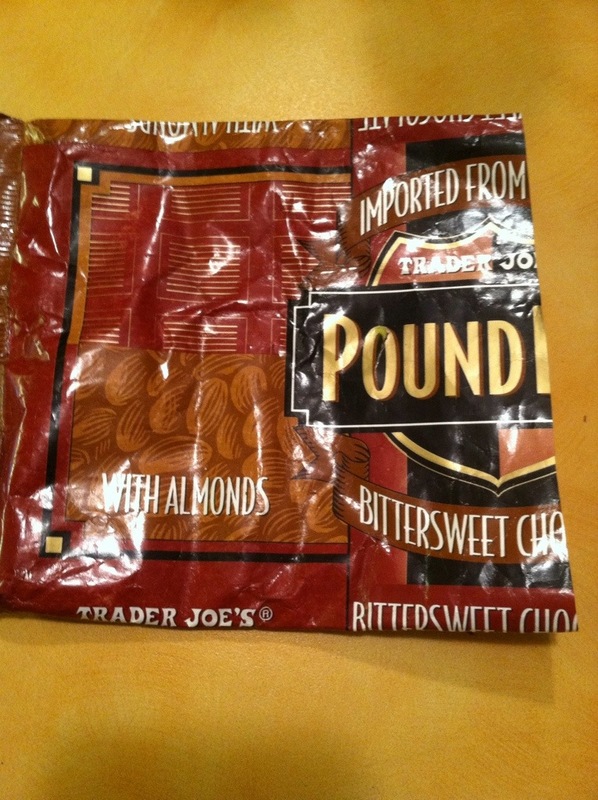 It is a “Pound Plus” bar from Trader Joe’s, and cost a whopping $4.99 for 17.6 oz. Pretty good. I don’t know why it is called “bittersweet”, not “dark”, because I checked the official cocoa solids percentages for both, and they were identical (minimum of 56%, I think). Anyway, this is a really stupendous deal for just under five dollars. Flavour is good, a little sweet for me, personally, but that’s to be expected with bittersweet, since I usually have 70% (or higher) dark chocolate. I really loved the almonds in it. They were perfectly roasted. This would be a good bar if you’re looking for something that you can eat a lot (or, anyway, more than usual) of, and not feel guilty for eating several dollars worth of chocolate. 13 Jun	This entry was published on June 13, 2014 at 12:27 pm. 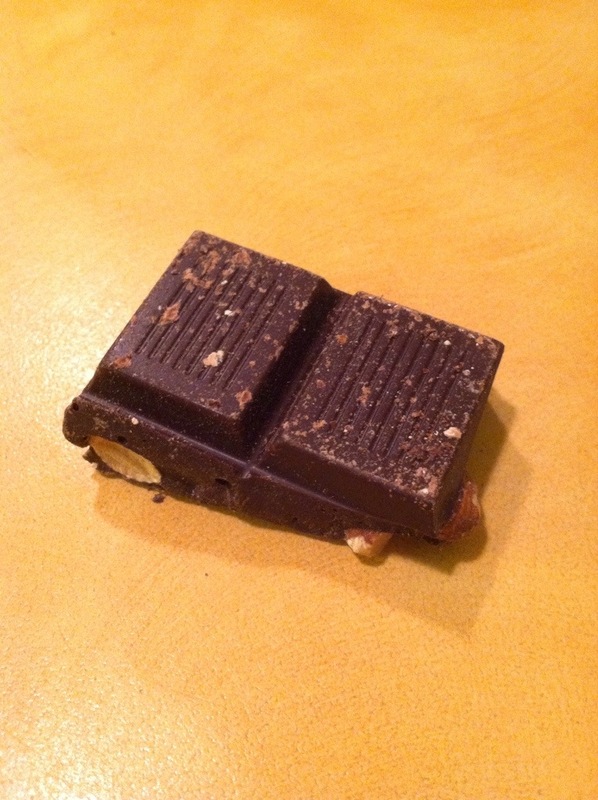 It’s filed under Chocolate, Uncategorized and tagged almond, andrew, bittersweet, chocolate, food, joes, trader, vochman. Bookmark the permalink. Follow any comments here with the RSS feed for this post.